No one thought such big planets could form around small stars. 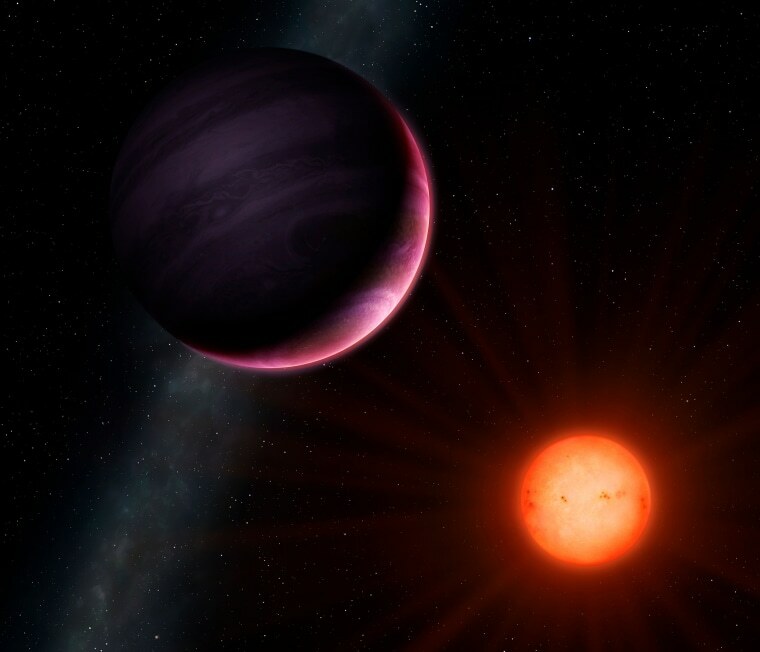 A planet described as a “monster” has been observed orbiting a tiny star, and the discovery has thrown a giant wrench into a long-established theory about how planets form. Astronomers had long theorized that while small stars can form small, rocky planets, they lack the gravitational pull to attract enough material to form gas giant planets like NGTS-1b, as the newfound planet is known. The discovery was completely unexpected, Dr. Daniel Bayliss, an assistant professor in the astronomy and astrophysics group at England’s University of Warwick and a leader of the international team of astronomers who made the discovery, said in a written statement. “Nature continues to surprise us in its diversity, and other solar systems may look nothing like our own,” he added in an email to NBC News MACH. A paper describing the discovery has been accepted for publication in the journal Monthly Notices of the Royal Astronomical Society. NGTS-1b is located about 600 light-years from our own solar system in the southern constellation of Columba. Observations indicate that it’s roughly the size of Jupiter, the largest planet in our solar system. But its host star is a common kind of dwarf star that’s half the size and mass of the sun. The combination makes NGTS-1b the largest planet ever observed, relative to its host star. And while Jupiter orbits the sun at a distance of about 480 million miles, NGTS-1b speeds around its star at a distance of about 3 million miles, or one orbit every 2.6 days. In other words, a year on NGTS-1b lasts less than three days. NGTS-1b is the first planet spotted by the Next-Generation Transit Survey, which searches the sky with an array of 12 telescopes located in northern Chile. The discovery came after months of observations and years of work to develop the array.